Grab a pair of Family Christmas Jammies | Babies, Kids, and Adults $26.99 (Retail $42). Time to get ready for Santa! 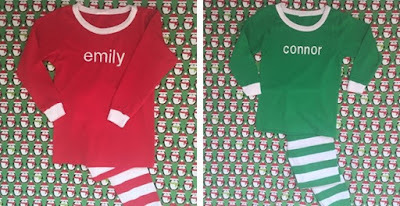 Everyone from baby to grandpa can match in these personalized holiday pajamas. Your name will be machine embroidered in an all lowercase print in white thread. $3.50 for the first item and $1.50 for each additional item. US only. Estimated to ship by Thu, Oct 13.